Cat owners know all about how important the litter box is when it comes to owning a cat for a pet. There are also times when the feline simply hates its litter box and decides not to use it, much to the dismay of its owners. A litter box that works well and is well liked by the cat itself is very much essential in providing a comfortable space and environment for the pet. Such a reputed kitty litter box is the Modkat litter box. The Modkat litter box is a multiple award-winning litter box that made waves all around with its very interesting design and effective purpose of being a great product for cats. Far from being a normal litter box, the Modkat version takes into consideration all the small aspects that both cat owners and the cat itself will be very much pleased to learn about. The main outlook of the Modkat litter box is indeed a litter box but is far bigger than the usual ones to be found in pet supply stores. Looking like an actual square box, this product features an opening at the top to allow for the feline to enter it in order to be used. Interestingly, the lid of the Modkat litter box itself has a function of its own other than for closing the box. The lid is able to catch litter from the paws of the cat when the animal exits by jumping out. The inside of the Modkat litter box comes complete with tarpaulin lining that is sturdy and resistant to any form of wear and tear by the cats. This is very useful so that the cats do not end up destroying the box in a short period of time. The product also comes with its own scoop that is attachable to either side of the litter box. Colour is another appealing factor behind the popularity of the Modkat litter box which comes in 5 different colors which are easily blended and compatible with most households instead of looking rather out of place. 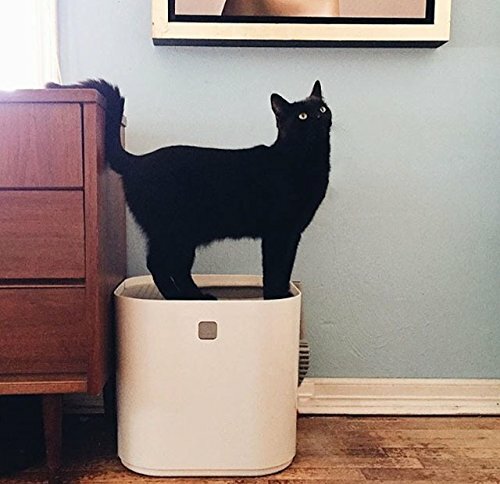 The Modkat litter box is available in a spacious size featuring 15 inches in height, and 16 inches on each side of its length and width, allowing for the small to medium sized cat to comfortably enter and exit the product. Highly inventive and efficient– Easy to dispose of cat litter while ensuring that there is little to no litter tracking from the paws of their pets. The lid of the product acts as a great method to help litter scrape off the paws of the cats and fall back into the box itself, saving on extra cleaning up which is otherwise usually required. Plenty of space– The inner tarpaulin lining of the Modkat litter box comes in dimensions of 10 inches of height and 16 inches by both length and width. This allows cat owners to easily remove and clear away a considerable amount of cat litter, thereby reducing greatly the number of times that it has to clean and changed as compared to previously or with other litter boxes. Strong and durable- Should the feline be slightly on the heavy side and not necessarily be able to fit down the hole in the roof of the box, owners are able to lift the lid of the Modkat litter box allowing for full access such that the pet is able to safely jump in. 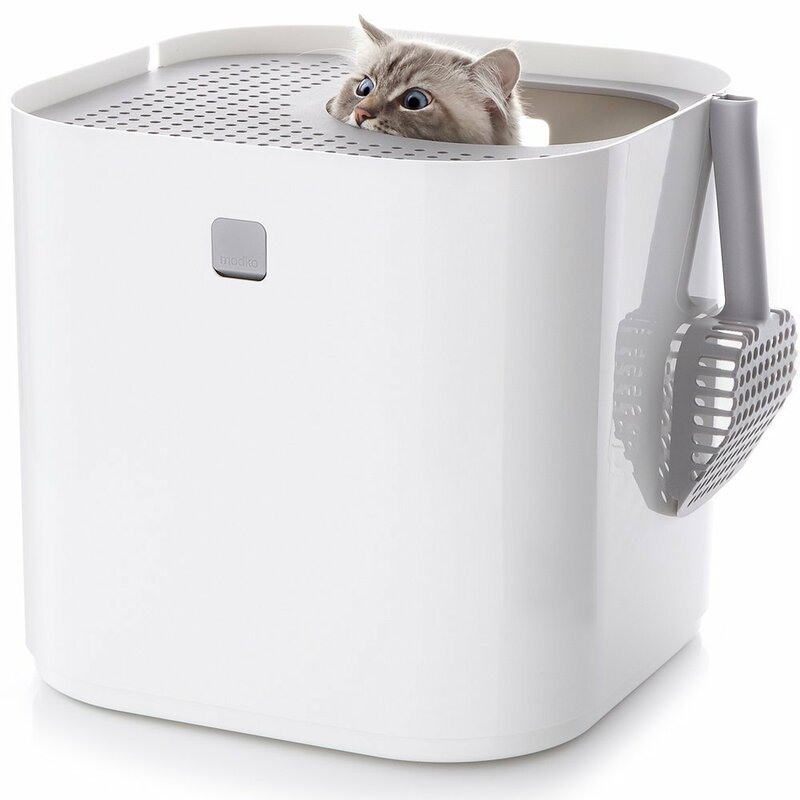 Smaller sized kittens and cats are able to easily enter in and out of this uniquely designed litter box. 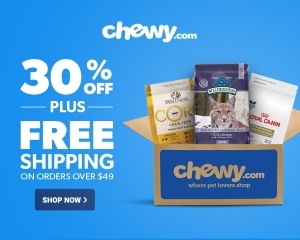 Great design– The overall layout of the box makes the entire experience a very clean and compact one for owners and the cat. 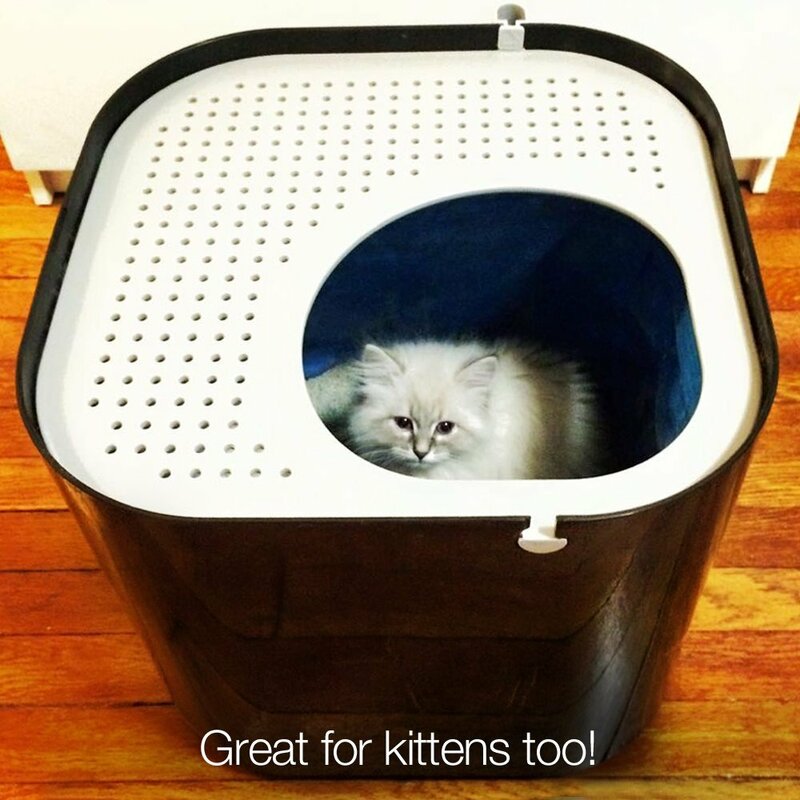 Simple usage along with easy and reliable disposable methods are definite advantages to owning the Modkat litter box. 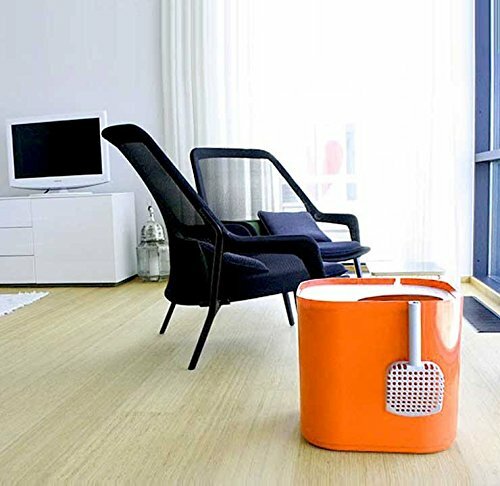 Cleaning kitty litter has never been easier with the Modkat litter box. One size does not feet all-The Modkat litter box is not made to accommodate felines who are of a slightly bigger size or body shape. Despite having full access should the lid of the product be removed, such a cat will not be entirely comfortable with the box itself due to a lack of space for it to move around in. A regular or bigger sized kitty litter box is more suited to these cats. Similarly, the box may be too large for kittens or smaller breeds of cats that are either not litter box trained yet or have troubles exiting the box that is rather high at 15 inches tall. It’s a one cat show– The Modkat litter box is also made for only one cat which makes it an infeasible option for owners with multiple cats. There is also the option of purchasing more than one of such kitty litter boxes but the cost of each is not cheap. Comparatively a regular cat litter box is far cheaper and cost effective if there are multiple cats in the household. This makes it a great disadvantage to owners with many felines. Given the spacious capacity of the Modkat litter box and the tarpaulin inner lining, there is only a need to clear the kitty litter once a week before filling it again. Once a week is a good time span before the inner contents start to smell. Cat treats can also be placed on the inside of the Modkat litter box to create a cosy environment for the cat and to also encourage it to use the box more often. This is particularly useful in the early stages from after purchasing the Modkat litter box where at times the feline may refuse or reject the use of the box, preferring it’s old one. If the pet has troubles jumping out of the Modkat litter box, owners can also choose to pour in more litter filling to create a higher ground for the cat to easily exit from. However, should this be done, the lid of the Modkat litter box must be removed to allow for sufficient space to let the cat move.